Do you love car chase scenes in movies? 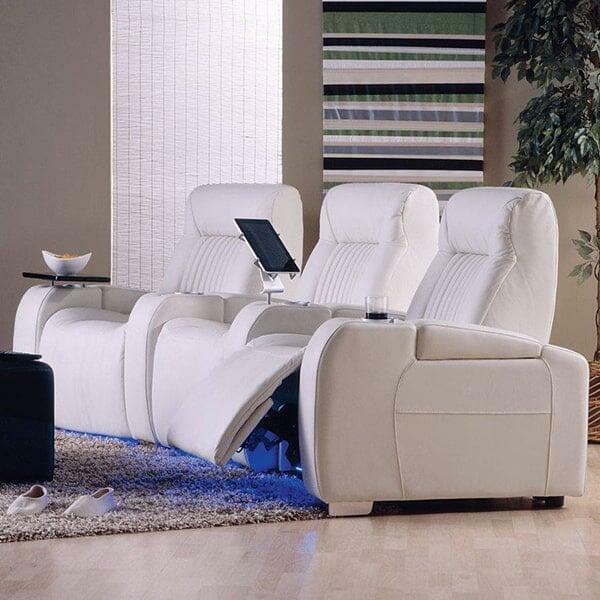 Showcasing beautiful styling influenced by automobile designs, the Autobahn Theater Seats from Palliser is for you, offering a look that seems taken from the interior of a Mercedes or Mustang. While this exceptional look will define your interior space, it's the exceptional comfort of the cushions that will define the seating experience of all visitors to your new private movie hall. Yes, in-home movie theaters are becoming increasingly popular, allowing homeowners a change to improve their home for a resale or to provide another source of daily entertainment. 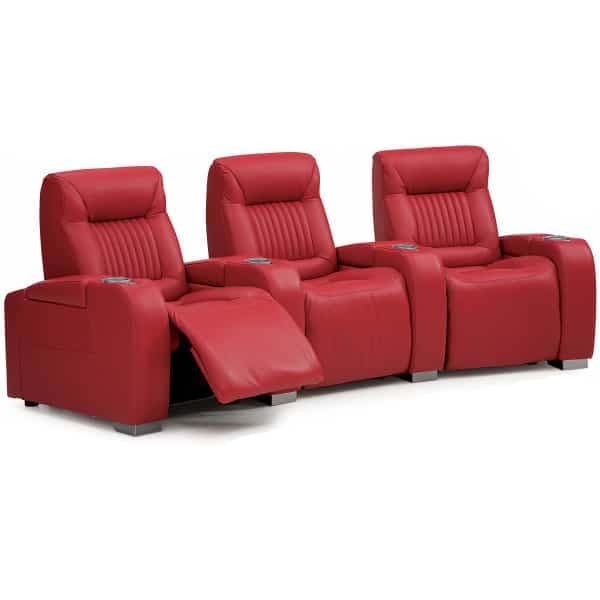 These theater seats offer various two, three and four-seat configurations perfect for any empty space; see the available seating plans (straight, curved, etc.) in the drop down menu to the right hand side of the main image. In addition to various seating plans, the available pricing, colors and materials vary greatly; work with our ingenious staff to sort through dozens of fabric and leather options, as well as extra bells and whistles such as enhanced sound systems, light effects and much more!